A flower wreath has been delivered to Cube Entertainment. 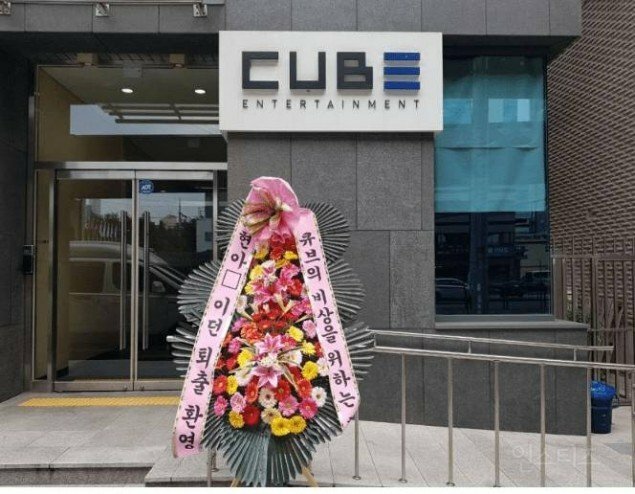 On September 13, a flower wreath was delivered to the Cube Entertainment building following the news about HyunA and Pentagon E'Dawn's possible leave from the agency. 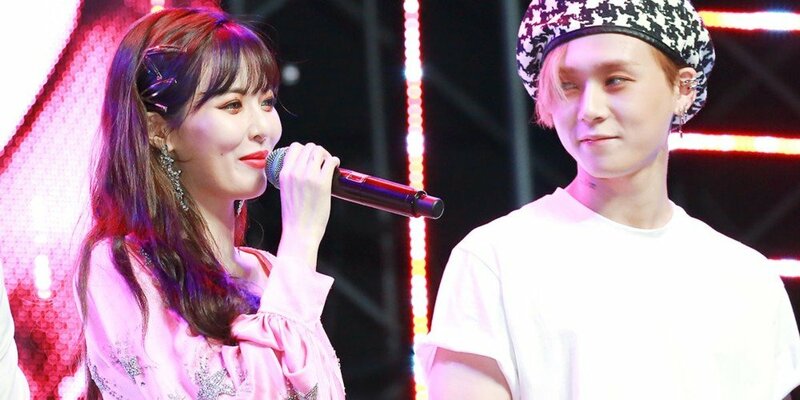 The message on the wreath stated, "Welcoming the expulsion of HyunA and E'dawn for Cube to fly up." Some are finding the flower wreath clever and humorous. On the other hand, there are others who believe it to be inappropriate. Comments stated, "This is too much", "This was unnecessary", "I mean, in a way, it's true but I hope other Cube artists don't see this. I feel bad for Pentagon."